We've made it easier for you to link to your Terms & Conditions from anywhere in your campaign. Simply create a link to #terms and it'll open the Terms & Conditions you've added. We've added a new Import button on the Actions tab of Competitions & Rewards that allows you to import Actions via CSV if you've collected entries offline. 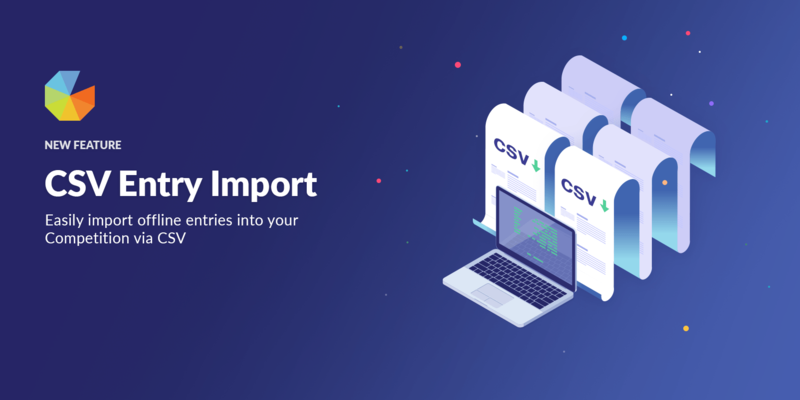 If you have any issues importing just shoot us a support ticket for help! This feature is available on all Business plans or above. On February 25th YouTube updated its Artifical Views Policy to a new Fake Engagement Policy - for which enforcement will start on the 15th March. Unfortunately YouTube have been quite vague on how this policy is being enforced, but to date we've seen ~20 users have their Gleam landing page link disabled from their video description and given a warning. These updates do not punish the app, instead they punish the creators using the app. These updates will affect anyone who continues to use any 3rd party platform that incentivizes behaviour on YouTube. Keeping customers safe and ensuring that we're compliant with guidelines is our number 1 priority. We've been through similar changes with Facebook, Instagram and Twitter over the years - platform policy and privacy changes are an inevitable side effect of any fast growing social network. 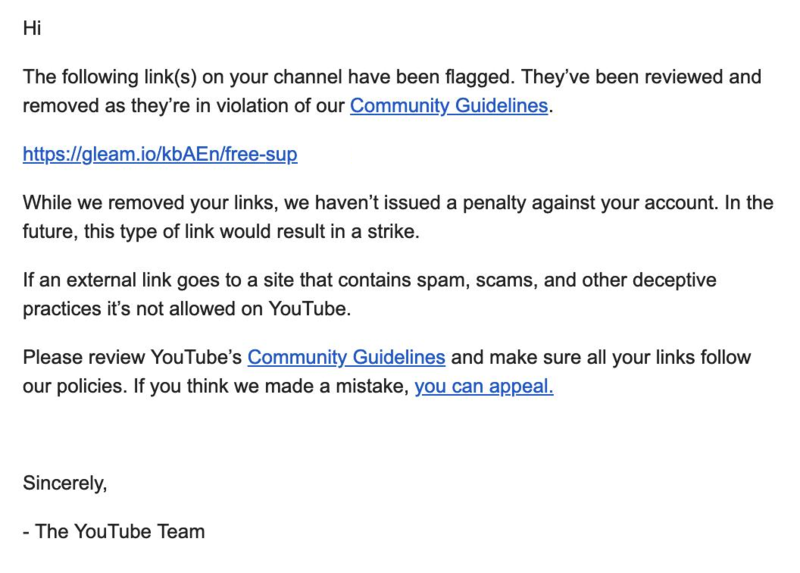 YouTube's new Community Guidelines Strike System will issue a warning for your first offence and disable the offending external link. From today, we've removed the ability to add any Actions to a campaign that violate this YouTube policy. Subscribe to a YouTube Channel is now Visit a YouTube Channel, we've also provided the ability to ask users to connect their YouTube account after the visit so you can see their YouTube details. These changes will not affect any existing campaigns that you have running, but copying an existing campaign will not include the old actions. In order to become compliant with the Fake Engagement Policy you will need to remove any Actions that are mentioned above. Existing entries will still count after removal. This also includes any mention of asking users to Subscribe or forcing that they must be Subscribers in order to be eligible to enter via your Gleam description or Custom Actions. With so many creators relying on Gleam these sorts of changes can often make it difficult to understand what's the right or wrong way to run a campaign. YouTube has made updates to its Community Guidelines and is now enforcing them via Strikes on creators who link out to certain sites via their video descriptions. Incentivization Spam: Content that sells engagement metrics such as views, likes, comments, or any other metric on YouTube. This also includes content where the only purpose is to boost subscribers, views, or other metrics (e.g., “sub4sub” content). 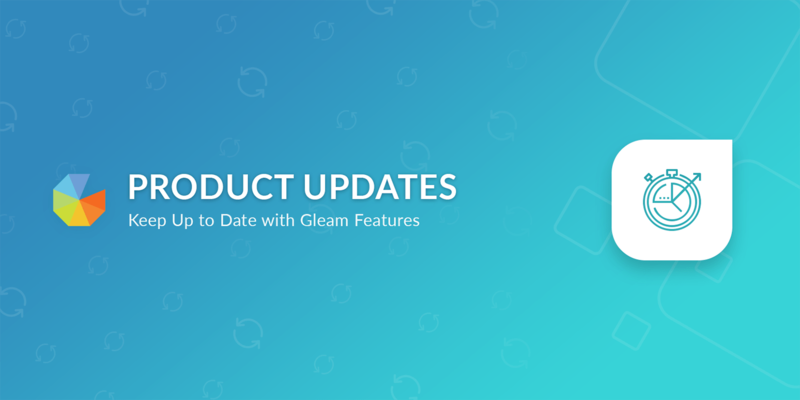 Based on this update you are no longer allowed to link to a Gleam campaign that asks users to Subscribe, Comment or perform any other action that boosts metrics on YouTube. For now we recommend that you remove any Actions that incentivize users to perform an action on YouTube if you are linking to a Gleam campaign from your YouTube descriptions - until we have more clarity on what is & isn't allowed. We're currently working on changes to bring campaigns into compliance & will send out an email to all Creators once they are ready to roll out. Once that happens we'll try to roll out more features for Creators to continue running compliant & legal campaigns on YouTube. 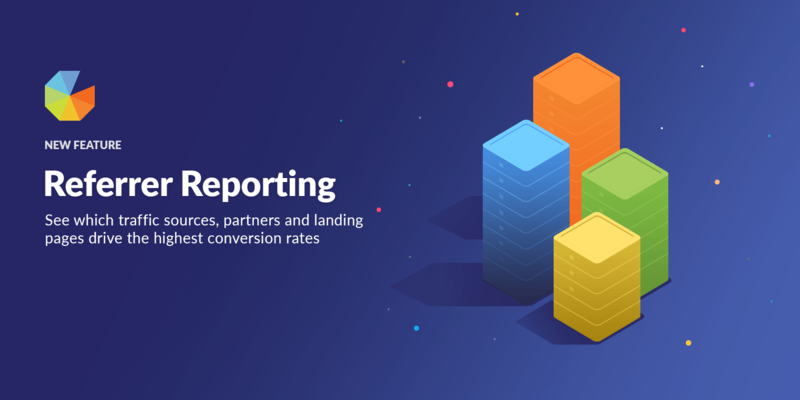 Today we've rolled out a new Reporting tab for Business customers that allows you to see which landing page & referring sources are driving traffic and conversions for your campaign. 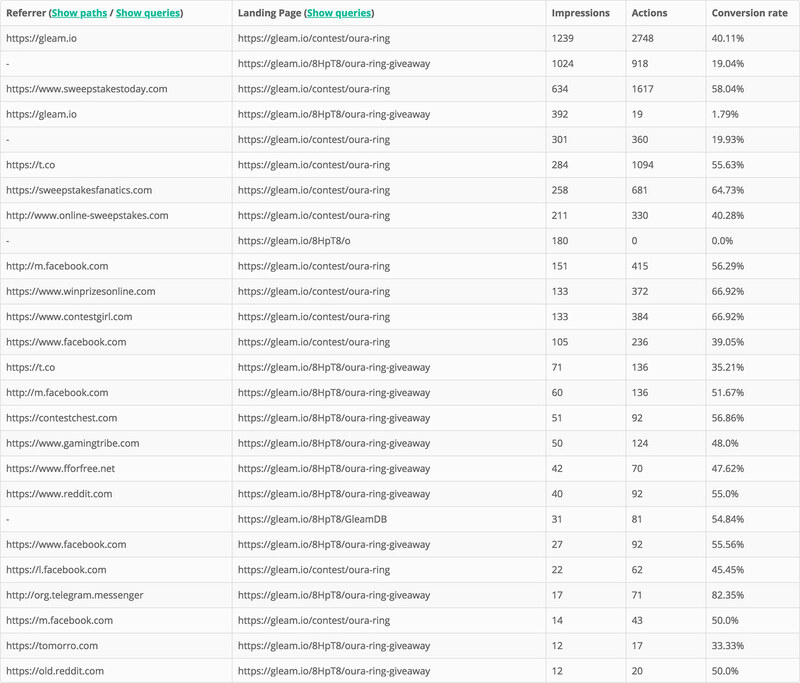 You can also use this report to track down valuable traffic sources, partner activity on campaigns via query strings or specific landing pages on certain domains. We've built this in a way that also shows you the proper referring sources when the campaign is embedded on your own site or a partners. We were unable to get a resolution from Google as to why comments made via the API were being deleted, we believe this is possibly linked with the sunsetting of Google+. However, to minimise impact to customers and move forward the YouTube Comment action now works in a similar fashion to the YouTube Subscribe action. This means that comments must be made directly on YouTube and then we'll verify on behalf of the user. This will also mean that if loyal users have already commented they'll be credited without having to perform the Action. We've rolled out a new rule for Captures that allows you to display your Capture within a specific fenced area on a map. You can add multiple locations to each Capture. We've become aware of a bug with YouTube comments over the last 24 hours that is resulting in any comments made via the YouTube API to disappear after a few hours. We're not sure if this is simply a display issue or if the comments are gone. We've filed a bug report with Google, other API users are also having the same issue so we hope this gets resolved quickly by them. Please note that even though these comments aren't visible on the videos, the entries are still valid for users that completed this action.